Our resources aim to support work with children and young people to explore their identity, celebrate diversity, champion equality and develop dialogue. This video shows some of the work that schools do to prepare their pupils for the meeting with their linking partner. Many children are nervous before meeting their new linking partners and by the time they meet many may have exchanged letters or emails to help get to know each other beforehand. This video shows the achievements of two schools that linked along the theme of healthy eating. This video shows a linking day where one school visits another and the linked schools have classes together. 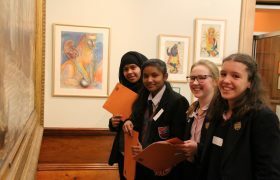 This video shows a meeting at Cartwright Hall exploring the different kinds of artwork available in their galleries. This video shows how a community of enquiry approach to reflection can be used in a classroom setting. This video shows the children reflecting on their experiences of linking; how they felt before, during and after the linking. This video shows a food festival organised by the schools to help get parents involved in the linking process. This video shows the children preparing for a performance at a city festival. Linking projects have been a part of this city festival for several years as it allows the children to perform the drama, music or dance pieces they have created together on stage as part of a celebration of Bradford. This video shows some of those performances. A show and tell activity, that supports a class to explore who they are. Lapage Primary, a three form entry primary in Bradford has created an project, Active Citizenship, that embeds Social Action in every year of a child’s life in the school in a meaningful way. An inspiring range of ideas and teaching resources designed for school assemblies, and based on our four key questions, ideal for use with SMSC development. TLN’s Spiritual, Moral, Social and Cultural (SMSC) development Assembly pack suggests eight individual and carefully planned ideas for assembly/ collective worship that supports SMSC development. 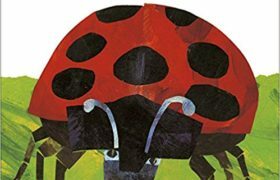 The Bad-Tempered Ladybird, by Eric Carle, tells the story of a ladybird who does not want to share his aphids, with the distinctive images that Carle is famous for. 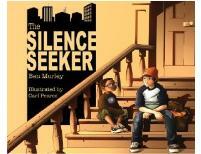 We use this book a long side Emma McCann’s book Munch for our KS1 activity, What’s In It For Me. Using the two stories, this activity explores the ideas of sharing, helping each other, and understanding that we are all linked. 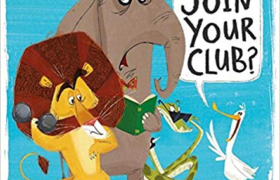 This book ’empowers young readers to learn about children around the globe and ponder their own place in it.’ Page after page that have their place in the primary classroom for classes who are linking – and classes who are thinking about global issues. The Universal Declaration of Human Rights was written by the UN after the Second World War and that there are 30 articles in total. 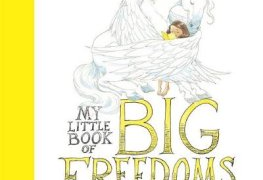 These resources are built around the book We Are All Born Free, produced by Amnesty International to help young people explore the human rights enshrined in the declaration. For a boy in the midst of poverty and war, nurturing a tiny green plant shoot has far reaching effects in this simple, universal fable of hope and connection. Here Matt Goodfellow kindly reads a few of his poems aloud from the poetry book The Same Inside for teachers to share with their classes. Allerton Primary School in Bradford has developed an assembly strategy where representatives from the local interfaith centre, local churches and youth workers come together in an assembly they have jointly planned with a teacher from the school. A simple mapping activity that looks at how two communities are connected, and the different routeways and pathways they share. Downloadable activity in which learners work in groups to write ‘Curiosity Questions’ to send to a linked class by post, email or film. A great book for Philosophical Conversations about seeing life from different perspectives. This teacher training video shares learning and top tips learnt during class to class digital linking. 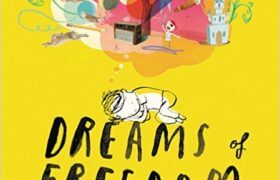 This inspirational book from Amnesty following We Are All Born Free, contains 17 quotations about many different aspects of freedom, from the freedom to learn and have an education to the freedom to have a home, to feel safe and the freedom to be yourself. Everybody—a part animation, part live-action short film from our friends from the UK—is a celebration of the 60th anniversary of the Universal Declaration of Human Rights for the book, We Are All Born Free. 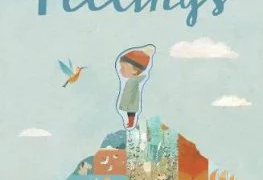 Explore a world of emotions with this stunning peep-through picture book. 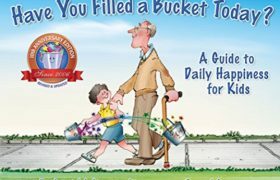 Through a simple story this heart-warming book encourages positive behaviour as children see how rewarding it is to express daily kindness, appreciation, and love. 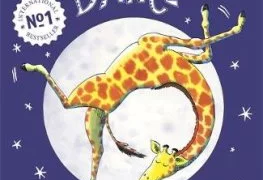 Gerald the giraffe longs to dance, but his legs are too skinny and his neck is too long. Eventually Gerald learns to celebrate his own abilities and have confidence in himself. This is a montage created by the Great Get Together showing pairs and groups of people sharing cards on which they have written things they have in common and things that are different. It can be used as a stimulus for linking classes to explore and find commonalities and differences between themselves and then create cards for a shared video. This video shows Imam Qari and Rabbi Esther holding cards on which they have written similarities and differences that they have identified including that they both love a cup of tea, both live in Yorkshire and then follow different faiths. It can be used as a stimulus for linking classes. 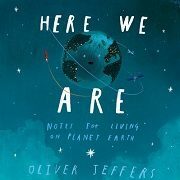 In this wonderfully illustrated book, Jeffers takes his readers on a tour of Earth where he manages to encapsulate key messages of acceptance, kindness and caring for the planet (and its inhabitants) in a simple yet effective way. “Home” – Directed by Mark Grimmer, 59 Productions and produced by Richard Curtis in association with Global Citizen. Home is a reminder that the space we inhabit extends beyond our house, neighbourhood, country and even continent – and it’s up to us to take care of it. Please click here to log into our home education resources. An art activity that allows pupils to compare animal homes with human homes. 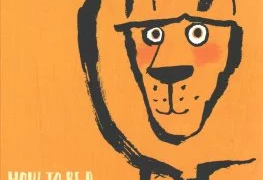 How to be a Lion is a thoughtful, challenging and intriguing book that really affirms quiet courageous voices. We are recommending the book for Primary Linking Classes thinking about ‘How do we all live together?’. 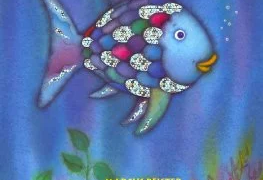 This book is a great story all about allowing and valuing diversity and individuality and freedom. It is a core text for the Autumn term of the primary linking year. “I Am Everyone” Orange advert starring round-the-world cycling record holder Mark Beaumont. I Am I is a memorable and stimulating text on the power of words. 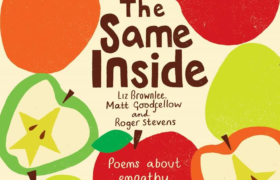 We use this book in the classroom to challenge children to think the ways in which people can hurt others with words and explore alternatives as part of the schools linking year to explore How we all live together. This poem was written by a Year 4 class in Bradford working with their teacher and a TLN Advisory Teacher. Lesson activity suggestions: Names, Identity Circles, Jigsaw, I am, Coat of Arms, and Cross the Line. Example of identity work sent as exchange to link school. Downloadable jigsaw template often used for exchanging with a linked class. An outline plan designed for a first Secondary School Linking visit day. This is for use by the linked pairs of schools when visiting each other and meeting for the first time. An outline timetable designed for a Secondary School Link day, with activity information, resource requirements and responsibilities. A structured series of lesson plans drawing together the best practice, developed at SL, for preparing a KS2 class to meet. The purpose of The Linking Network Identity Pack is to develop discussion on the concepts of identity, diversity, uniqueness and belonging by exploring TLN’s four key questions – Who am I? Who are we? Where do we live? and How do we all live together? These activities are not designed for linking days, however many are ideal for use in exchange of identity work. Please click here to log-in to our linking resources area. This book wonderfully explain and illustrates Human Rights in practice with powerful images of each right in practice in the positive. Haven’t used this book yet but can’t wait to share with children and young people. To develop pupils’ curiosity in others and cultural understanding of the diversity of experience of migration and belonging in people they know. To promote moral understanding of human rights and responsibilities, and the way that we all have a duty to uphold the rights of others. To help pupils to understand how they can contribute to society in small ways but that make a positive difference. 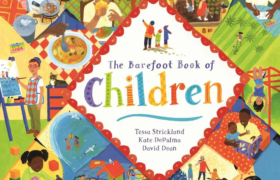 This book is a thoughtfully written, beautifully illustrated text which is age appropriate for use in primary school. We have seen it used to inspire all children about education and also about girls’ empowerment. A simple mapping activity that encourages learners to think about the places that determine who we are. ‘The idea for this book came from my delight travelling in a country very different from my own.’- Jeannie Baker. 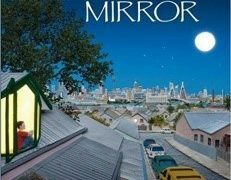 This story can help children explore the key question, ‘How Do We All Live Together?’ and the ways our lives are interconnected. 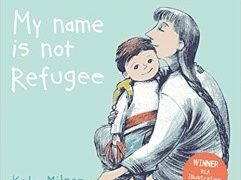 The title of the book My Name is not Refugee reaches out with a key message for all. 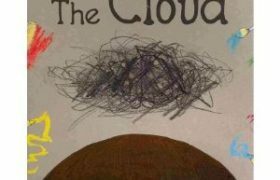 This thoughtful, moving book explains the refugee crisis and lives of children affected displaced in an accessible way. This resource supports children to explore and value their name, their personality, their hopes and dreams and that of others. 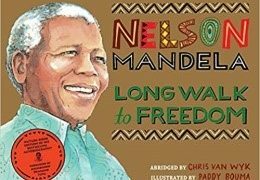 Nelson Mandela’s Long Walk to Freedom tells the story of a true hero of our times; his famous biography has been specially adapted for children in a picture book format. deas for using film extracts of the book ‘Noughts and Crosses’ by Majorie Blackman by the Royal Shakespeare Company. This resource encourages users to think critically about the hurtful impact words can have and discusses how we can make a difference to others. The ideas and resources for this lesson are from the RSC Noughts and Crosses activity pack. A creative activity that gets learners to think about the ways in which we visually represent ourselves and learn about other groups. ‘I come from courage and trying something new. I come from friendship. I come from respect. We are one who have the courage to help others who need help.’ This video has been made by a group of Rochdale Primary Schools. Many of these schools are part of the Rochdale Schools Linking Programme. Great for an assembly starter for any of us in primary schools – in Rochdale and further afield. “There’s only one you in this great big world. Make it a better place…” This beautiful little book is full of simple yet powerful wisdom relevant for us all. 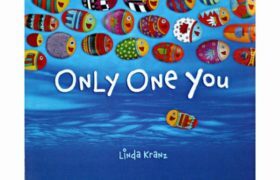 Only One You is a book with a strong message about individual liberty and equality we want all our children to make their own. pictures following discussion about Who am I? and Who are we? Thinking activity that supports learners to consider the future of their place. It introduces the idea of probable and preferable futures and their role as active citizens. Our Story is a sensitive, thoughtful video which shares the insight and advice of some young people who have made their home in Rochdale. It was made Rochdale Council and M6 Theatre by Kilogramme and the young people themselves have done the voiceover. Template pupils can start from to make a powerpoint about themselves or their classs. Template to make a passport booklet that teaches often choose for exchanging with a linked class. There are two versions of the passport template for you to choose from. Template to make a passport booklet that teaches often choose for exchanging with a linked class. To be completed by teachers from proposing schools, this document outlines why and with whom a school would like to link. The document also suggests pre-linking tasks and includes an outline plan for a link day. Example of an emotion graph used in evaluation. Postcards made for exchange by primary students. Postcards made for exchange by secondary students. 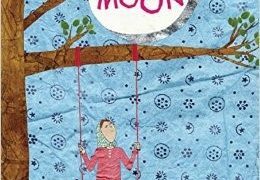 This beautiful picture book captures the joy and practicalities of this great annual event, from the perspective of a child. 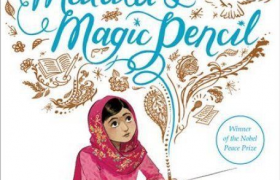 This is a book for all children who celebrate Ramadan and those who know them and beyond who want to understand what happens during this celebration. This really helpful video has been produced by the Faith and Belief Forum team in partnership and with funding from the National Schools Linking Programme. To be completed by students, this personal evaluation form is designed to capture students’ thoughts at the beginning of a class visit day and at the end of the day. To be completed by students, this personal evaluation form is designed to capture students’ reflections on their linking experience. To be completed by teachers and students, this pre-evaluation form is designed to capture students’ thoughts prior to linking. An assembly to be used to introduce the Linking project with the rest of school. A sample letter for students requesting involvement in the Secondary School Linking programme. A Secondary Schools Linking Passport to download. To be completed by participating students. 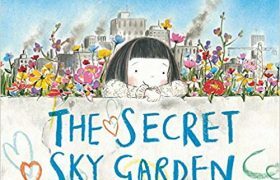 This book is an excellent primary read for anyone wanting to weave caring for the environment into their primary school linking class visits. Caring about something beyond ourselves and having a shared goal is a great way to form confident connections with others. An activity that uses the Millennium Development Goals (MDGs) to explore the idea of common goals, shared ideals and the ways in which we can help each other to achieve these. This assembly helps children think about what they love about the world. It uses the fantastic ideas and resources from the #Showthelove campaign which is supported by over 100 charities including the Woodland Trust, National Trust as well as many faith and community groups.Finding similarities about the things we care about is a powerful way of building connections between children in linking classes and across a school. 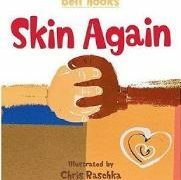 An activity using the book Skin Again to deal with the potentially controversial issue of skin colour and identity in a safe manner. ‘The skin I’m in is just a covering. It cannot tell my story.’ ‘At TLN we are so delighted that the Skin Again book is back in print! 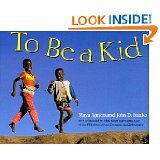 After introductory work around the questions ‘Who Am I?’ and ‘Who Are We?’ has been undertaken by a class, the text of this book can move the conversation about skin colour forward for children. 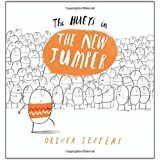 A great picture book to explore ‘fitting in’, how we fit into different groups and the way we include people who join us. The starfish story can be a helpful way to help learners understand active citizenship and encourage them that it is worth taking action to make a difference. 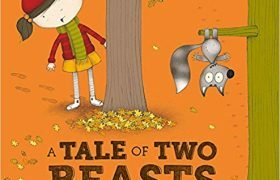 ‘A Tale of Two Beasts’ is a great book to help children grasp the idea that we all see life from a different perspective. It contains two stories – The Strange Beast’ and the ‘The Terrible Beast’. 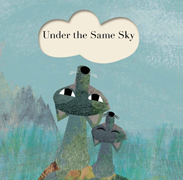 The child in the story assumes she knows what the animal wants – but never asks. This Teachers TV filmed a schools linking class visit in Bradford. We think it is useful to see the activity in action. The Island is a powerful picture book about refugees, xenophobia, social politics, social contact and human rights. 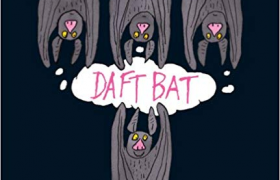 It tackles big themes with a fable-like text and artwork that will provoke discussion for upper primary and secondary school levels about issues that remain so much a part of our national discourse. 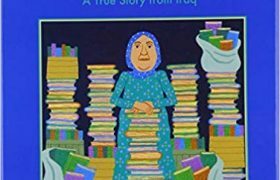 Based on a true story – Alia Muhammad Baker is the librarian in Basra, Iraq. For years, her library has been a meeting place for those who love books . When war arrives Alia struggles to save her community’s priceless collection of books … a book for every school library. 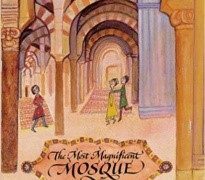 Visitors to the mosque at Cordoba are plagued by the tricks of three boys: Rashid, who is Muslim, Samuel who is Jewish and Miguel who is Christian. Ann Jungman’s story demonstrates what can be achieved when people work together and don’t waste energy hating each other. 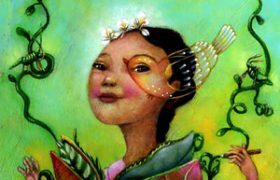 The Wild Book is a vibrant novel in verse, which paints a glowing portrait of the author’s grandmother as a young girl. These activities engage students in discussions around the potential barriers to learning, concepts of hope and a sense of belonging. 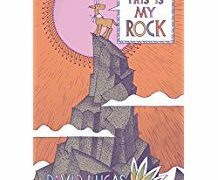 This Is My Rock is a powerful thought provoking tale for us all and can be used in linking sessions helping children consider the impact of our thoughts and words on others and ultimately on ourselves. An activity that enables learners to think about their place and their community in terms of time. It investigates connections with the past and with the future. To be a Kid is filled with beautiful photographs celebrating children as they play and learn, as they spend time with their friends and family, and as they discover their environment and the world. Sentence starters for reflection and evaluation. 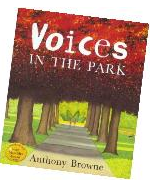 Voices in the Park uses story and imagery to tell the story of a shared space through the voices of four different characters. 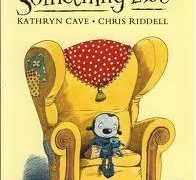 The differing perspectives of each very different character give a fascinating depth to this simple story which explores themes such as alienation and anger as well as friendship and hope. 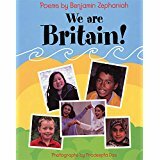 A poetry collection from the poet Benjamin Zephaniah, celebrating the diversity of British society. We Are Britain is a fascinating and fun collection which we have used with children to explore ‘Who Am I?’, ‘Who Are We?’ ‘Where do we live? and ‘How Do We All Live Together?’. There is a connection to bullying – learning how to be assertive but not aggressive is a key skill that can help prevent bullying. It is equally important for victims, perpetrators and bystanders in any situation where bullying occurs. The lesson ideas in this PowerPoint for secondary students support the development of assertiveness skills. 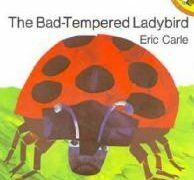 The Bad-Tempered Ladybird, by Eric Carle tells the story of a ladybird who does not want to share his aphids, with the distinctive images that Carle is famous for. A critical thinking activity that gets learners to think about themselves and explore their own make-up through the metaphor of a backpack. Where do we live together? An activity that looks at the spaces around us and how some are shared by all of us and some are our own. 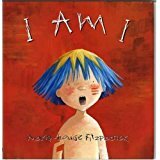 A resource template for KS1 learners to record information about Who am I? To develop pupils’ understanding of diversity within their own school and to help them understand that there is more depth to everyone’s story than is visible. A quiz-style activity that uses photographs and mysteries to explore how we tell who somebody is. To develop pupils’ understanding of diversity within the school community and develop curiosity about the lives of others. This assembly uses the concept of a quiz where children look at images of their staff and listen to interesting things about them. The challenge is to match the information they hear with the image they see. 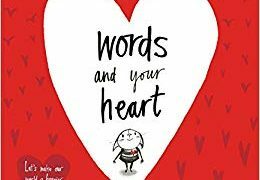 This is an excellent book which can be used to start a classroom conversation about the power of words and the importance of choosing them carefully if we want to have a positive impact and not hurt others. In the context of real concern about Hate Crime statistics for 11-17 year olds the content of this book provides a good way to teach and open up dialogue with primary age children about words. Where I’m from and I am poem ideas. 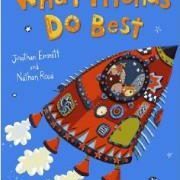 What Friends do Best is a story about perseverance, sharing and friendship. The school system increasingly recognises and rewards individual achievements. Sometimes however, there are things that are much harder to achieve working alone than they are if working together with others. You Be You continues the story of Adri begun in Only One You. 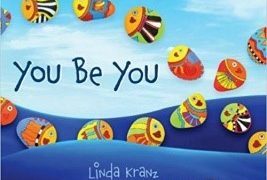 You Be You is equally helpful and insightful in a primary classroom and as a shared stimulus for primary linking classes especially for art and dialogue work during class visits.